Average rating: 4.9/5 from 9 comments. - Comment-on/Rate this shop. 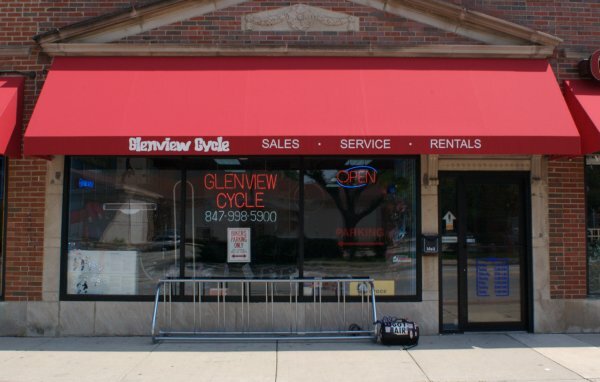 Since May, 2004, Glenview's oldest bicycle shop. Steps from Metra stop. Full line of accessories including trainers. Morning road leaves from shop at 7:30a every first Sunday of the month, April through September.